"Robert was a lifelong Chicagoan and he cared deeply about his community of North Lawndale," Cook County Board President Toni Preckwinkle said in a statement. 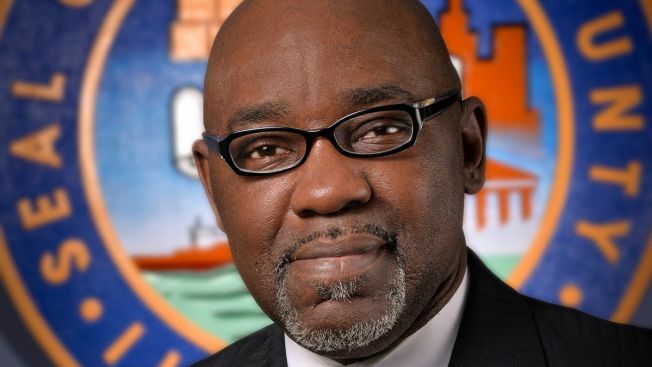 Cook County Commissioner Robert Steele has died, the county board president said Monday. Preckwinkle said Steele became commissioner of the 2nd District in 2006, and his "life was marked by his long career in public service." "Commissioner Steele was a dedicated public servant whose family has represented the West Side for more than 30 years on the County Board," Cook County Commissioner Richard Boykin said in a statement. He served as president pro-tempore of the county board of commissioners and Forest Preserve District Board, as well as chairman of the Environmental Control Committee and Contract Compliance Committee, and vice chairman of the Health and Hospitals Committee, Preckwinkle said. Steele also was president of the National Association of Black County Officials (NABCO) from 2008-2010. "He was a tireless advocate for organ donation after receiving a kidney transplant from his sister and could always be counted on to explain why organ donation is so important," she said.